As time is a vital factor for our customers, not only in key management but also in efficient functioning of the whole organization, we equipped each SAIK deposit safe with a modern system of electronic working time recording. 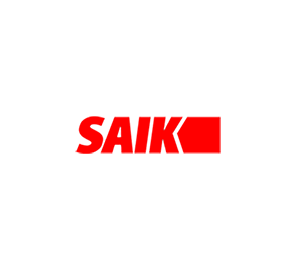 SAIK software has got a built-in RCP module, which makes it possible to record and clear working time in compliance with the working time regulations in force, prepare reports, etc. RCP system can be used by all the employees of an enterprise or institution, also those who do not collect keys. When the RCP function is activated in the system, then after the registration of an employee , the Working Time Recording menu appears on the LCD display. The employee selects one of the options, for example “official entry”. The fact of commencing work is now recorded. If the employee also wants to collect a key, he has to place the contactless card in front of the reader, select on the display the option „cabinet service” and then select an appropriate key from the list of keys and take it out of the deposit safe. Similar operations shall be carried out upon leaving work or the return of the key. The system of automatic working time recording facilitates significantly functioning of an enterprise or institution. Increasing safety, labor discipline and improvement of the staff management efficiency. Automatic and exact in time settlement of various work organization systems, such as shift work, extra hours, weekend work, etc. Transparency with respect to absence from work, possibility to check working time balance. Automatic recording of all ins and outs, leaving a workplace for business and for private purposes. Simplified planning, including but not limited to offsetting extra hours, holiday time planning, etc. Permanent control thanks to the system of reports, e.g. relating to employees coming late for work , employees absent from work, etc.